A good 1000 yard scope will make the shooting experience a lot more pleasant for you, and will improve your accuracy. When you are choosing a scope, it is important to consider accuracy, the quality of the optics, weight and durability. Here, we will look at some of the best 1000 yard rifle scopes on the market, at a range of different price points, to help you find a scope that will suit your needs, and fit into your budget. 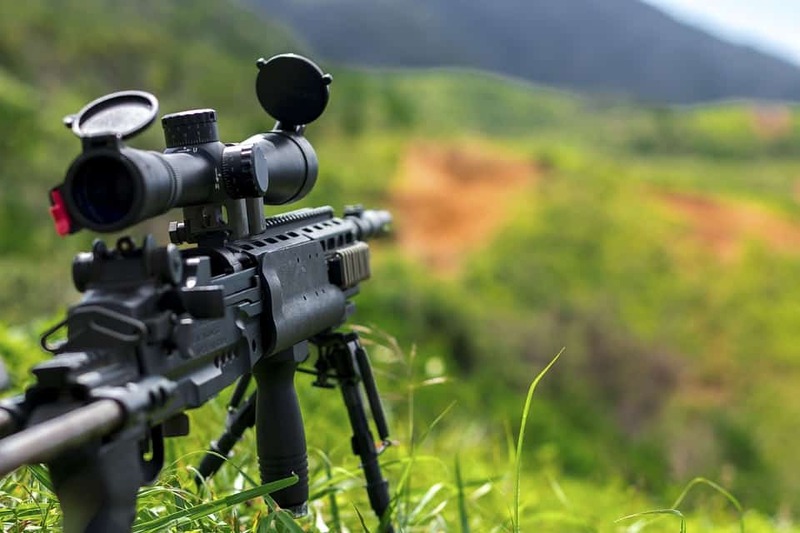 9.1 What is the best long-range rifle scope? 9.2 What magnification do you need for 1,000 yard shots? 9.3 What scope did Chris Kyle use? Finding an optic that works can be quite a challenge. At the lower end of the price range, many optics are inaccurate or difficult to calibrate well. At the higher end of the price range, the basic quality is typically better, but figuring out which scopes are worth the extra money – and which are ones where you are ‘paying for the badge’ can be a challenge. 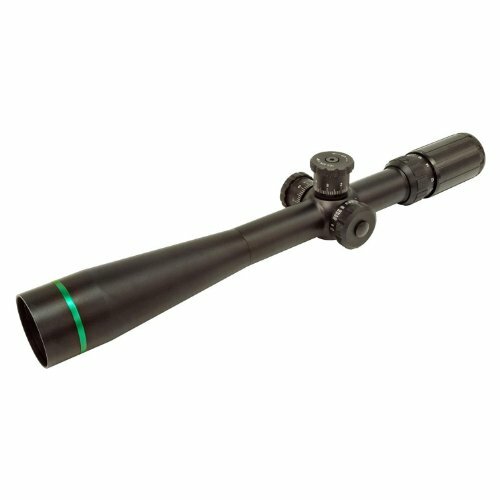 A lot of selecting a scope that works comes down to preference (https://www.youtube.com/watch?v=0Dpxx-LQE08), but once you know what you are looking for, it’s possible to find a high quality scope at any price point. There are several things you should consider when buying a scope – adjustment, magnification, and budget are a few of the core considerations. 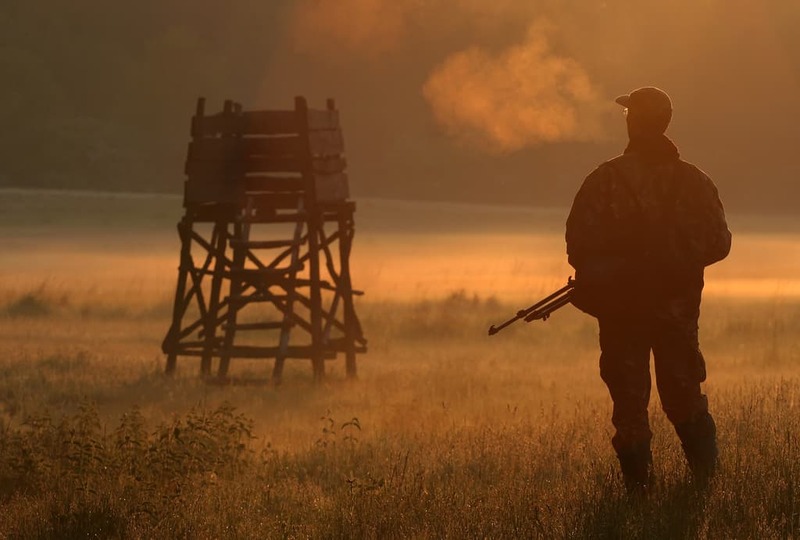 You shouldn’t be thinking just about the features of the scope, though – what you are shooting at, the ammo you are shooting with, and where you are shooting also make a difference. Think about the real-world applications you will put the scope under, and buy for those, rather than purely looking at the numbers. A good scope should have at least 40 MOA you can use for adjustment, with a 100 yard zero. This is key. If you can’t get a 100 yard zero, then shooting in a lot of circumstances will be a pain. In terms of magnification, you will want to have a magnification of 18x to 25x – to an extent this is a matter of preference. Some people prefer to go to lower than 18x – even as low as 10x, because higher magnifications can make problems such as mirage more noticeable. Some people prefer closer to 25x. Sometimes, it’s a trade-off between budget and field of view. 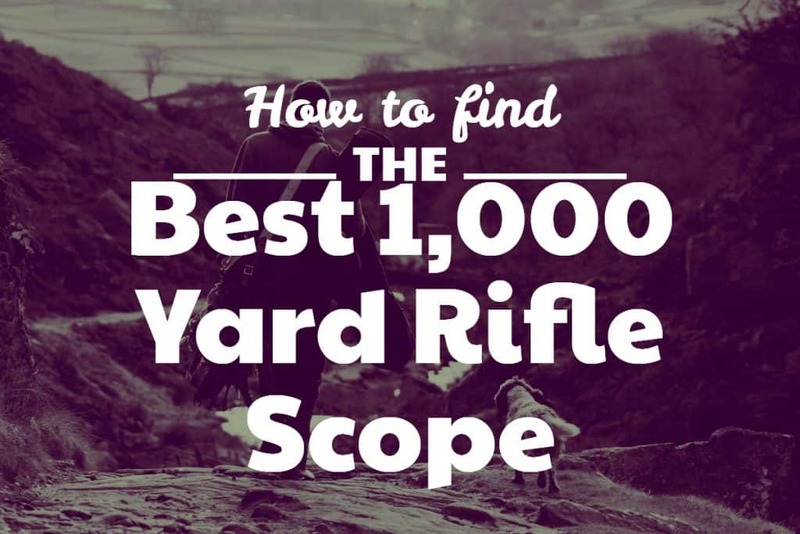 To an extent, the best 1000 yard rifle scope is ‘whatever scope you can afford that will get the job done’. When your budget is at the higher end, you have a whole wealth of choices and can get bells and whistles that aren’t necessary but that might save you time and make the scope a little easier to use. When you’re on a tight budget, sometimes, the difference between a more expensive scope and a less expensive one is a trade-off that doesn’t make much sense. Pick the features you will use and buy the scope that does the job you need it to do the best. This even applies at the higher end – the Hensoldt 3-26x is a good scope, so is the Vortex GEN2 Razor – yet one costs more than twice as much as the other. Depending on what and where you’re shooting, the more expensive scope might not be the best. Many people assume that a scope that is made in the USA is better than a scope made in Japan or some other country. That’s not always true. Yes, quality control is high in the states, but it’s also high elsewhere in the world too. When we’re looking at firearm accessories, the country of origin alone is not enough to determine what’s good and what’s not. By the same token, more magnification doesn’t automatically mean ‘better’. You want to look for a scope that has good lens quality with coatings that will offer good performance in the environment you will shoot in (camo, low light, bright light, etc), and you want to buy something that has a reticle you find easy to read, and that offers easy adjustment for elevation and windage. It takes time to learn how to use a different style of a reticle, so try to get a reticle you’re already familiar with – or expect a little frustration while you get used to it. You may feel that a simple reticle is all you need, or maybe there’s another type you find is much easier for you to read and to line up a shot with. 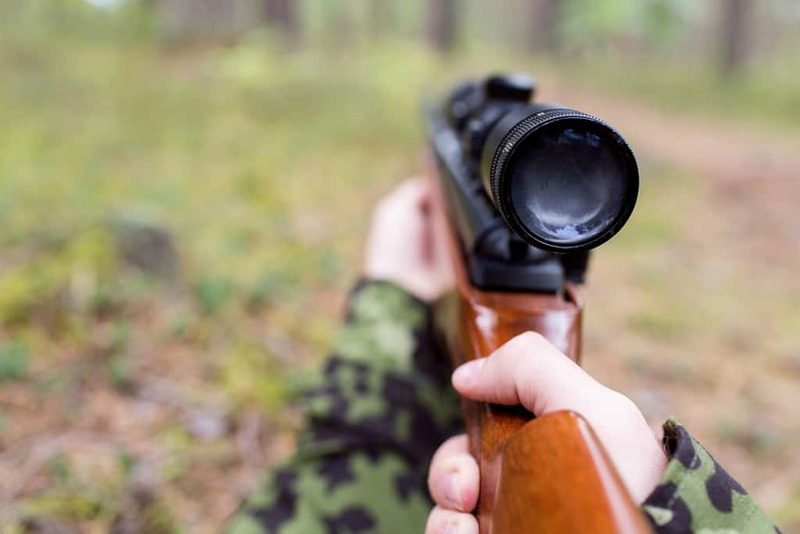 Don’t buy a fancy reticle if you don’t understand what all the markings are – that would be like buying pro running shoes to do a local fun run. Other useful features include zero stops – that will prevent you from being off a turn, and locks and breaks. The choice between a locking turret and a double turn turret is a matter of preference – locks aren’t something that everyone uses, so if you can save a few dollars by getting a double turn turret instead, and you’re someone that doesn’t use the locking feature, then why not? This versatile scope is designed for competition shooters. It features a SCR reticle designed expressly for competition use and has is a long-range scope with a rugged constriction so it will survive most day to day use. 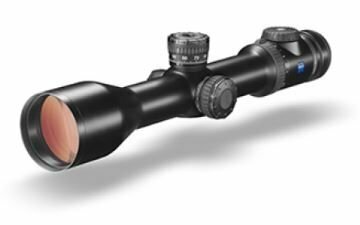 The scope features a 34mm tube and illuminated etched glass that offers a clear view in most conditions. With magnification options between 5x and 25x, the scope should suit most tastes, and as a bonus, it is waterproof up to 33ft. Another nice feature is that it takes common CR2450 batteries, so you won’t need to fuss with finding obscure batteries when you need to replace them. The scope offers windage/elevation of 1 cm @ 100 m, or 1/10 mRad, and this is a nice upper-mid-price scope. There are scopes that cost far more, and there are some that cost far less – but if you’re looking for a good investment that will offer reliable competition level performance, then this is an option that is well worth considering. This scope is quite clearly positioned in the budget category, but that doesn’t mean that it’s a low-quality product. Vortex stand by every scope they make, and offer an unconditional lifetime warranty, even on their budget models. 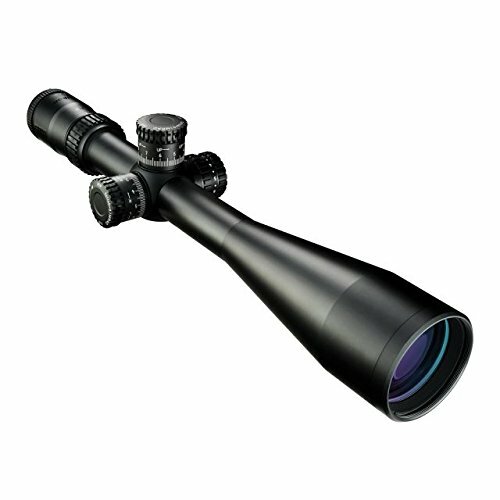 This scope features extra-low dispersion glass, which offers clear, crisp color fidelity and variable magnification. This model mixes features from Viper’s PST and HS scopes, to create a versatile scope that can be used for a range of applications. The eye box offers increased eye relief, so you can find your targets quickly and easily, and the tactical windage and elevation turrets are easy to use. The hash mark-based reticle offers at-a glance readings, and there is a sunshade that makes the scope a joy to use in challenging conditions. 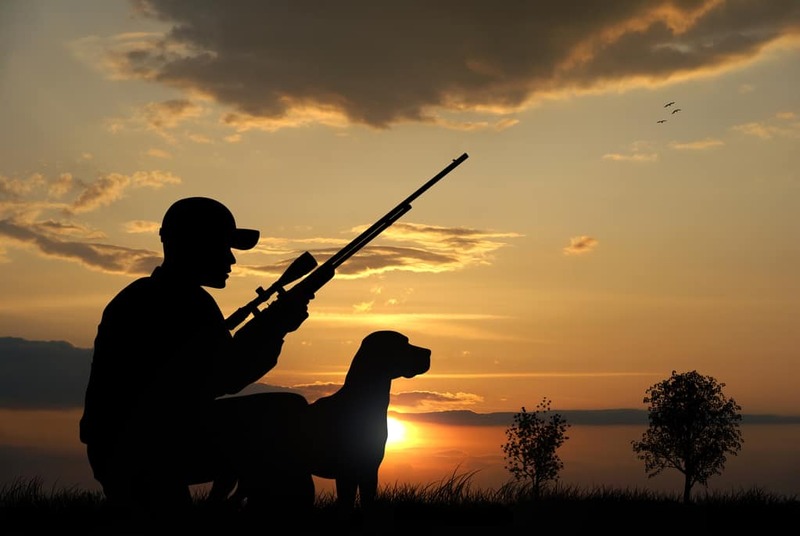 The scope can be used on both precision rifles and hunting rifles. 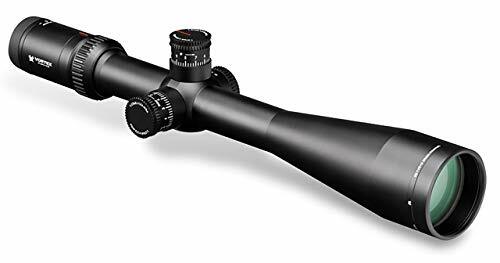 The tracking and clarity are good for the price, and the scope holds its zero well, allowing it to compete with scopes at a much higher price point. Why spend four figures on a scope when you can get something that will do the job just as well for a fraction of that? If you are willing to spend a little more on a scope, then this riflescope is a good option. The matte black finish makes it look stunning, and the MOAR Reticle is a joy to shoot with. The turrets are zero stop, and the 100 MOA of internal adjustment offers accuracy at several ranges. The optics are stunning, and once you’re familiar with the setup, the scope is easy to adjust to get great speed and accuracy. It’s surprisingly light, too, since they make it from aircraft-grade aluminum. The 56mm lens ensures that you get good clarity and resolution no matter what range of magnification you are using, and the 5.5 power is a good option for close-range shots. Having the option to go higher when you need it means that you can shoot almost anything with just the one scope, meaning that this is good value for money for the price range. This waterproof scope is a mid-priced scope with a side focus, and with a number of nice features for extreme-distance precision. It offers a good field of view and an open-centered reticle that helps shooters to find their targets easily when taking a long-range shot. The scope is waterproof and lead-free and has a generous eye box with blackened edges for comfort and ease during long-term use. The field of view is impressive even at 100 yards, and the elevation adjustment range of 55 MOA is suitable for most circumstances. 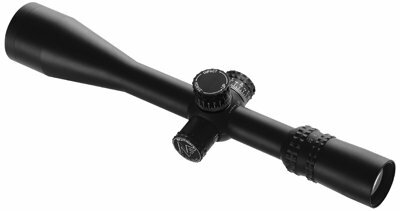 The scope weighs just 26.30 oz, and has a matte black finish, so it is easy to fit, use and carry even for long sessions. The scope has been tested by F-class shooters and developed with them in mind, making it a good choice for someone who wants a single scope that will see them through day-to-day shooting, with plenty of versatility. The scope is easy to zero, so you’ll be up and running, and shooting long-range, accurate shots, in no time. The Nikon Black FX1000 is the latest high-end scope offered by Nikon for long-range shooting. It’s reasonably affordable without compromising on quality. The Black Fx1000 sports a 30 mm tube and a 50mm objective lens diameter. In combination with the multi-coated lenses it lets a tremendous amount of light for a crisp image even in lowlight conditions. The FX1000 offers an illuminated reticle on the first focal plane making it a great match for long-range shooting. Nikon adventured into the FFP arena with this line of scopes and added great goodies to increase the overall performance. As you’d expect from Nikon, the scope is waterproof, shockproof and fog proof. The tube is purged and sealed. The Mueller target rifle scope is a budget scope that is a good choice for a first-time shooter who doesn’t want to spent a lot, or a shooter who prefers other ranges and just wants something that will do the job for longer range. The scope has a good eye relief and magnification of 8-32, which should suit most people. The 44mm objective and fast-focus eyepiece are a joy to use, and the micro-fine cross hair and target dot are easy for beginners to use. The fully exposed target turrets are easily accessible for quick target adjustment, and the clarity of the eyepiece is reminiscent of what you would find in scopes at a much greater price point. In terms of features, this is a relatively bare-bones scope, but for those who want something robust and that fills a narrow role well, this is hard to beat, and those who are limited in their budget would do well to choose it. It also makes a good backup scope for those who have more money to spend and are willing to invest a lot more in their daily driver. It’s heavier than some other long range scopes, but that’s a small price to pay. If you have the money then here’s the scope to get. No questions asked, this is probably the best scope for 1,000 yards (or more) that you can buy at the moment. The amazing part is also that the lower range of magnification starts at 2.8x and goes up to a whopping 20x. You might not need any other scope for any distance. You might not be able to afford another scope after paying for the Zeiss Victory. This scope pretty much has it all. It offers fantastic magnification, and it’s the top-end of Zeiss. At that moment you get the best scope of one of the best manufacturers worldwide. It’s easy to imagine that you end up with the best of the best. The Zeiss Victory uses the clearest glass imaginable. In combination with the illuminated reticle it’s outstanding in low-light conditions. The reticle is located on the 2nd focal plane. 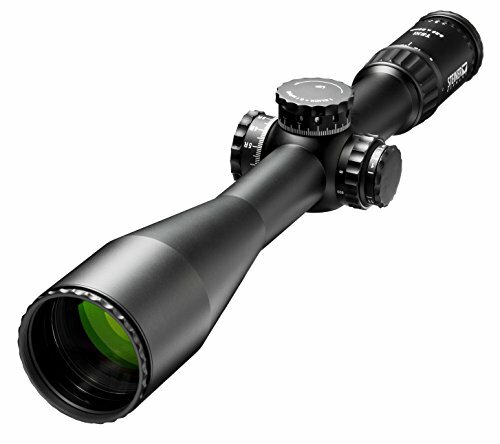 The Victory V8 scopes are designed with 8x magnification rang. They are waterproof and shockproof and can pretty much work with rifle and for any shooting environment. The tube is nitrogen purged and sealed making it fog proof. The tube is made from a single piece of airplane grade aluminum. It is a massive 36 mm in diameter. In combination with the 56mm objective lens and the ultra-clear glass you get a 92% light transmission. Of out of the scopes listed above, our winner in terms of the overall best 1000 yard rifle scope is the Vortex Viper HS-T 6-24×50 Riflescope. It is a budget scope but with high-end features, making it a versatile choice for people who want something they can use in a range of different circumstances. The build quality feels stunning – and there is definitely something nice about using a scope that feels robust and well made. The accuracy and the ease of zeroing means it is a good choice for beginners and experienced shooters alike. The other scopes in the list are all good choices – and it’s worth considering them if you want something a little more luxurious, or if you’re looking for something squarely in the budget end of the market. If you have the opportunity to talk to a friend who is an experienced shooter, visit a range, or just try a few different scopes in a store, then do so – because a lot of what makes a good scope is a personal preference. There’s no single ‘best’ long range scope. Consider what you want to use your scope/rifle for. 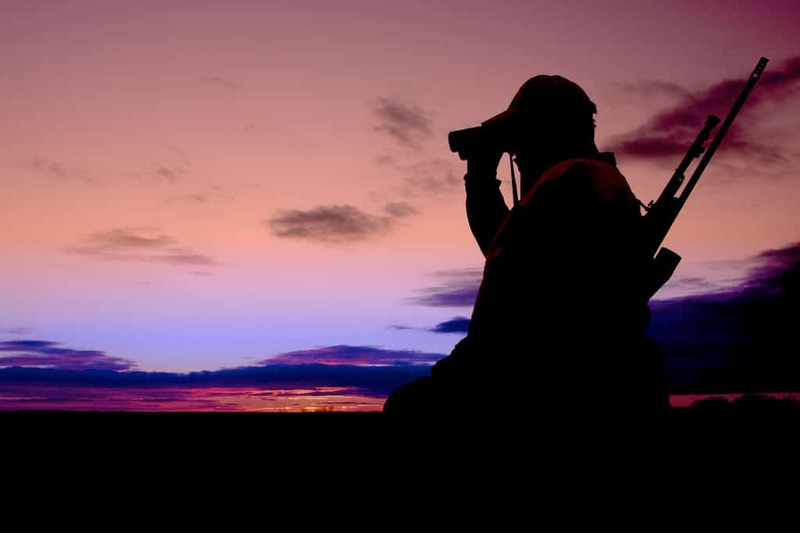 If you’re hunting big game during dusk or dawn, then you would consider one of the top-scopes with a 56mm objective lens as a good choice. If you do target shooting in sunlight, then you can get away with a smaller objective lens. You can also go higher on the magnification if the target is stationary. Knowing where your target is allows you to go with a smaller field of view. What magnification do you need for 1,000 yard shots? It’s hard to come up with a straightforward answer. If you’re hunting and you want to for example shoot a deer that’s 1000 yards away then the target itself is large. If you’re firing on a small target that’s a few inches large then you obviously need a higher magnification. As a rule of thumb you can think of a minimum of 1x per 100 yards. With that rule, you end up with a minimum magnification of around 10x which works well with larger targets. Using smaller, stationary targets you want to increase that magnification significantly. What scope did Chris Kyle use? From what we gather, he used several scopes. As you can imagine, they were all high-powered, top-quality scopes. It’s pretty clear he used a Nightforce NXS 8-32×56 scope as it’s visible in some photos around. Other photos show what looks to be a Leupold Mark 4 3.5-10x40mm LR/T. That scope was not necessarily useful on the longest shots he took. In later photos after his service, the scopes on his rifles seem to mostly be from Nightforce. On the lower end of the magnification range it seems that there were some 5x scopes. That would result in most likely a Nightforce ATACR 5-25×56. We checked the scopes we had selected initially (2nd half of 2017) and they still are in our opinion the best scopes you can find if you’re trying to shoot 1,000 yards or more. We will continuously have a look at new introductions and replace the current picks if there are any new scopes that are indeed better​. There are not that many scopes hitting the market that are better than what we have picked even a year ago. We added the Nikon Black FX1000 scope. The main improvement of this scope is that it has an illuminated reticle which made it somewhat stand out. It can be an advantage to have an illuminated reticle when you shoot 1,000 yards or farther. We also added the Zeiss Victory V8. The reason for adding is that it offers the best of everything. 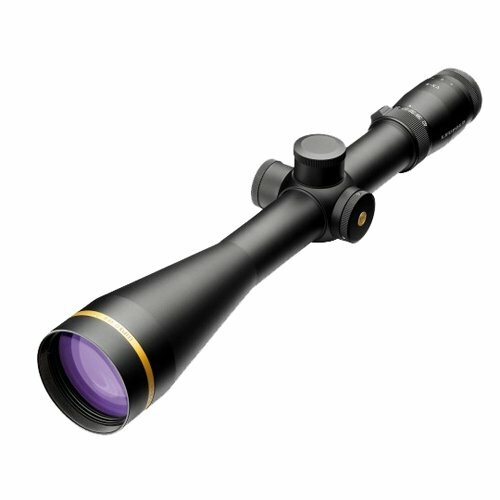 A great magnification making it a scope for pretty much any distance you want to shoot. Top-quality construction and material and the glass is simply superb. If you have the money, then go for it!